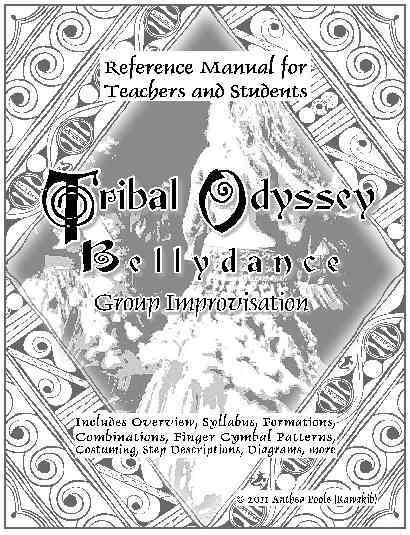 Note that this Manual is not an "instruction book" on how to teach or learn Tribal Odyssey, but a reference work. Are you interested in teaching this fun new format to your bellydance group? If you're new to teaching, please consider Kawakib's Teacher Certification. It provides a logical and coherent course designed to help you teach this unique style of bellydance in a way that's easy for students to comprehend and enjoy. I also offer a GUIDE TO TEACHING that can help you plan classes for any style of bellydance.